NEW ORLEANS – After conference championship meets were conducted across the country this past weekend and with NCAA Regional Championships in two weeks, the latest regional cross country rankings are the most important of the season. 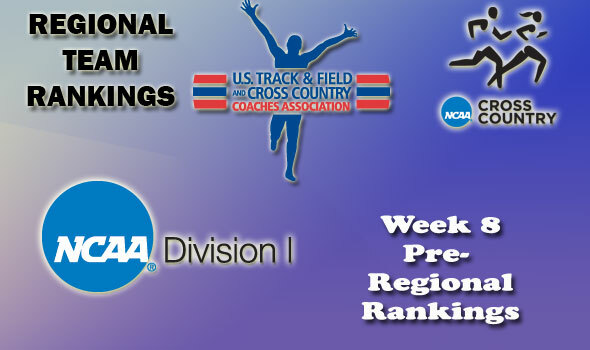 The U.S. Track & Field and Cross Country Coaches Association (USTFCCCA) released week eight regional rankings for the NCAA Division I 2011 season on Monday. Even with a lot of hotly contested team races from the conference meets, only one new number one team emerged this week with NC State taking over the top spot in the Southeast’s women’s rankings. MEN – Ohio (Great Lakes), Montana (Mountain), Maine (Northeast), Texas State (South Central), UC Riverside (West). The national week eight coaches’ poll will be released on Tuesday. Next week will be a “repeat” week, meaning that rankings released this week will also apply for next week. Next on the radar is the nine regional championship meets which will be held on Saturday, November 12. USTFCCCA Regional Cross Country Rankings are determined subjectively by a single member coach in each respective region. The regional representative is tasked with weighing returning team strength with current-season results in determining predicted team finishes at the NCAA Regional Championships.